"Bunnies from the Burrows don’t get stepped on, they step up!" — the perfect inspiration for a busy school year! 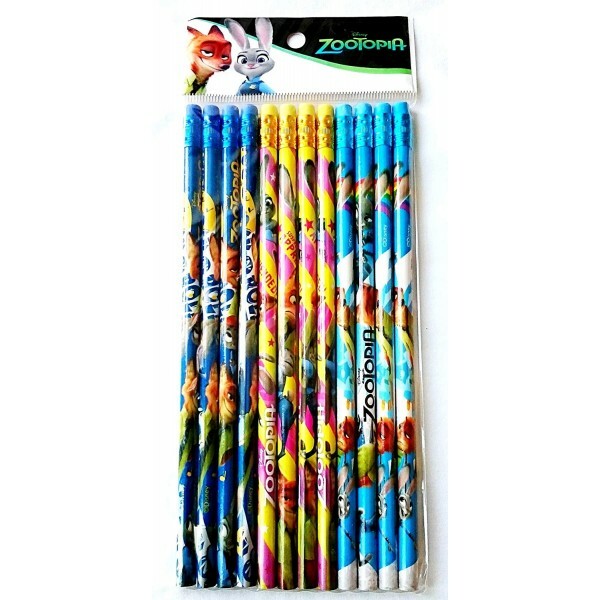 This set of 12 pencils features Judy Hopps, Nick Wilde, and other favorite characters from the hit film Zootopia. These officially licensed pencils are made of wood and are high quality, so whether she's taking case notes or school notes, she's got the perfect tool to write with.